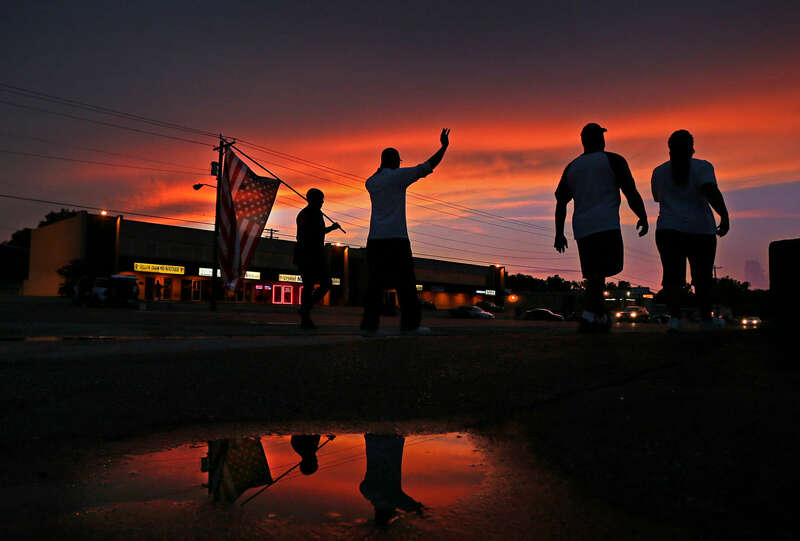 A small group protesters march along W. Florissant Avenue in Ferguson, Mo. on Tuesday, Aug. 26, 2014. The large crowds and vocal protesters from earlier in the protests have mostly disappeared now. Typically there has been less than a 100 people along W. Florissant protesting during the evening hours. Some nights there have only been a couple of dozen people.